What are you feeding your brain today? Research now proves that simple dietary changes can manipulate your gene expressions and re-route your future to prevent cognitive disease! What you eat for dinner tonight is stacking your odds one way or the other. At least 80 percent of Alzheimer’s disease victims also have heart disease. 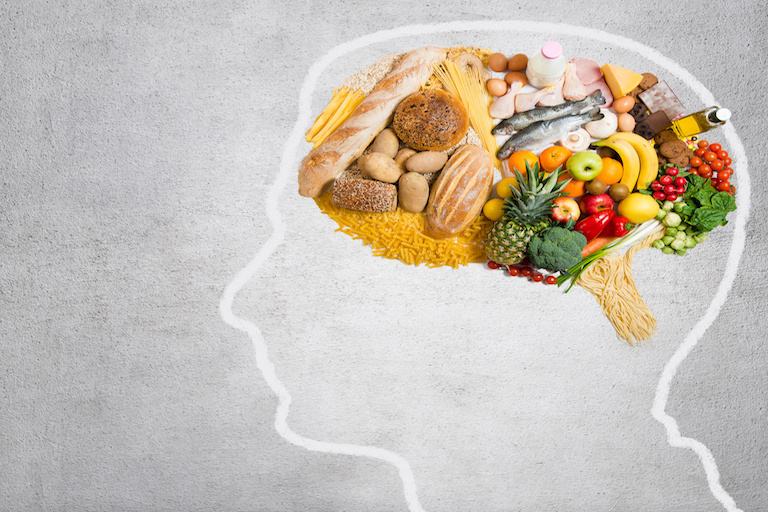 Consequently, the same diet that promotes heart disease also promotes cognitive decline. Since the year 2000, deaths by heart disease have decreased by 11 percent while deaths by Alzheimer’s have increased 123 percent. Alzheimer’s disease is now the sixth leading cause of death in America, greater than prostate and breast cancer combined. Unfortunately, women are more susceptible, comprising over half of all Alzheimer’s victims. The brain contains over one-hundred trillion connections between neurons, called synapses. When cells are damaged, unstable atoms called “free radicals” are released. Imagine the brain as a forest, the neurons as trees and the synapses as the root systems. Free radicals are like sparks that burn through the roots one by one until they ignite an unstoppable forest fire. Our firefighter that prevents free radical ignition is Vitamin E. A 2002 study from the Journal of American Medical Association found that low Vitamin E (<5mg) may raise Alzheimer’s risk up to 14 times. This powerful nutrient is the architect of the brain that builds, shields and constantly re-designs. Omega-3 fats construct the protective layer of neurons and make new neural connections, boosting brain power and slowing down aging. Their anti-inflammatory properties heal cell damage and improve depression and anxiety by transporting the “happy hormone,” serotonin, into the brain. The body creates a metabolic waste that raises inflammation. This contributes to depression, heart disease and Alzheimer’s disease. B vitamins are like powerful bulldozers that scoop up and drive this inflammation out of the body, additionally preventing brain atrophy and advancing cognition! One study from the American Journal of Clinical Nutrition showed that patients with high Omega-3 and B vitamin intake slowed brain atrophy by 40%! The brain’s preferred fuel is glucose. Unrefined, complex carbohydrates fuel the brain with a steady supply of glucose and transport essential neurotransmitters into the brain. Just ask the early society of Okinawa, Japan, who had the lowest cognitive disease rates and often lived over 100 years! Their secret? Their dietary staple was sweet potatoes, a superfood high in antioxidants, fiber and carbohydrates. Whole grains: wheat, oats, barley, brown rice, buckwheat, etc. Cognitive diseases such as Alzheimer’s can take up to 20 years to fully develop and can be accelerated by inherited genes. At the time of diagnosis, reversal is often impossible. Early detection and prevention are lifesaving. It is time to think more boldly about nutrition. It could possibly be your secret weapon. Eating what is good for the body is also good for the brain! If the immediate changes go unnoticed, take heart that you are indeed impacting the future of your brain health.